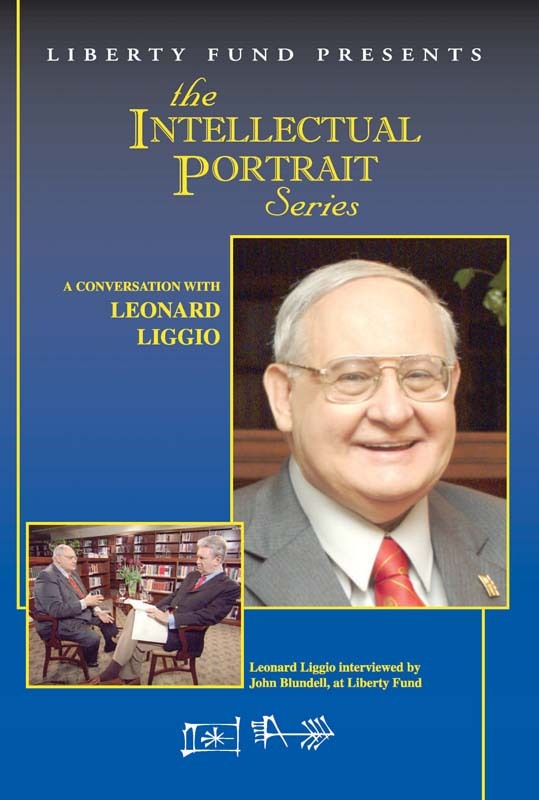 Leonard Liggio was one of the early leaders of the classical liberalism revival movement and was one of the most ardent defenders of the tenets of personal liberty worldwide. He was Executive Vice President of the Atlas Economic Research Foundation, Distinguished Senior Scholar of the Institute for Humane Studies, and a research professor at George Mason University. He also served on the Editorial Board of the American Journal of Jurisprudence in the Law School at Notre Dame University, and he was President of both the Mont Pelerin Society and the Philadelphia Society and a member of the Board of Directors of Liberty Fund, Inc.
His teaching and lectures took him from Virginia to South America, Africa, Europe, and Asia, and he used his vast knowledge of the history of liberty and capitalism to illuminate twentieth-century applications and beyond—with an all-encompassing method of observation that is unequaled in economic and academic fields. DVD. © 2006. 95 minutes.